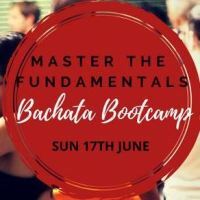 Master the Fundamentals of the beautiful Bachata dance. This 2.5hr Bootcamp will start with the basics and build. You will learn about the movement for bachata, the rhythm & the timing. We will also cover lead & follow techniques for partner dancing and teach you some nice smooth sequences for the dance floors. Build your dance confidence in no time! COST: $45 (2.5hrs tuition plus a link to download some great Bachata music). BOOKINGS ARE ESSENTIALS AS NUMBERS ARE LIMITED TO GURANTEE A QUALITY LEARNING ENVIRONMENT. Our 2.5hr Bachata Bootcamp as specially designed to build your confidence for the dance floors in no time! - Suitable for students with little or no previous experience. With more then 20 years of teaching experience Sky Blue translates her knowledge of and passion for Bachata, through her private lessons, bootcamps, workshops and retreats. Sky is an expert at teaching body movement and rhythm and at breaking down steps so that they are easy to understand and quick to learn. She believes that “anyone can dance” and that there is no such thing as “two left feet!”. With Bachata Sky prefers the traditional styles and loves to teach smooth, flowing movements with nice connections. Sky is the founding director of Picante Productions (formerly Picante Latin Dance), she is also the director of the Sydney International Bachata Festival, the Byron Latin Fiesta & Festival de Ritmo. Learn to dance or expand your skills today!